Sparkasse Bank Makedonija is among the first banks in the Republic of Macedonia that has introduced new and innovative offers of financial products and services such as the Mastercard contactless, innovative ATMs with a currency exchange and deposit functions as well as the technically advanced mobile banking application S-Banking with the unique option "Snap and pay", first and unique in the market. Sparkasse Bank Makedonija in its wide range of products and services has created new and modern offers according to the needs of the clients, their age, habits and lifestyle. For this purpose, special packages for elderly customers have been created in the offer, providing "Pension on 1st each month" service as well as packages for the youth, students and employees up to 26 years old, who select a bank for the first time to manage their finances. STUBRAND awards for 2016 and 2017 confirm the Banks’ innovation and customer oriented approach. Following the basic mission of our owner Steiermärkische Sparkasse from Graz, Republic of Austria, which has had almost 200 years of banking tradition and at the same time contribution and care for the community where it operates, Sparkasse Bank Makedonija is the first bank to implement corporate social responsibility within its business strategy . With great dedication, the Bank has realized numerous projects within the SPARKASSE Life platform. Numerous awards and recognitions are a confirmation of the multi-year strategy and active efforts to create value added for the society in which we operate. Sparkasse Bank is among the first banks to actively communicate with the public through social networks, with profiles on Facebook, Instagram, LinkedIn and YouTube. Active communication in the media space is filled with innovative and creative campaigns for promotion of banking services, where the Bank stands out from other advertisers and has a high Brand and Advertising Awareness in accordance with the researches conducted by local agencies. 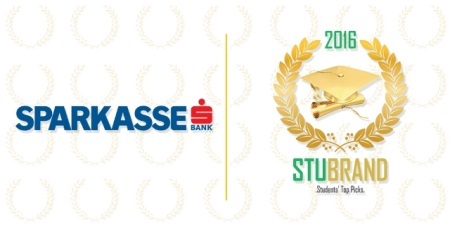 For the second year in a row, SPARKASSE BANK is the most beloved bank of Macedonian students and awarded with the prestigious STUBRAND award for 2017. 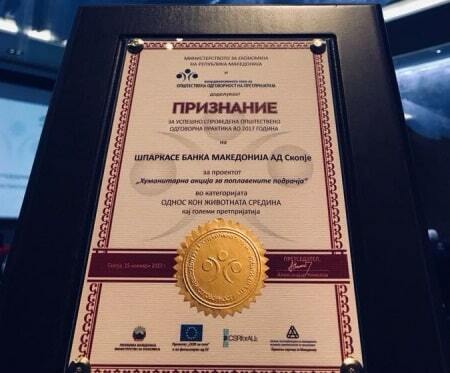 The Ministry of Economy and the Coordinative Body for Social Responsibility of Enterprises awarded the Sparkasse Bank Macedonia "Recognition" for successfully implemented socially responsible practice in the category "Environmental Relations". Great gratitude to the Trade Union of the Bank, who, together with our employees, took an active part in the humanitarian operation for assistance to the flooded areas in Skopje, August 2016. On the occasion of the celebration of the 15th anniversary of the organization "SOS Children's Village" in the Republic of Macedonia. Macedonia was awarded a Certificate of Sparkasse Bank Macedonia for many years of cooperation and support for children without parents and parental care, as well as for children from families with social risk. 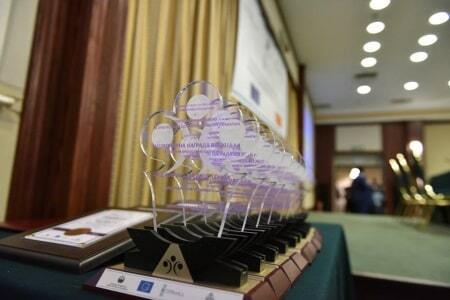 The National Awards for the best socially responsible practices of the Macedonian enterprises in 2016 was organized by the Ministry of Economy and the National Coordinative Body for Corporate Social Responsibility (CTAO). 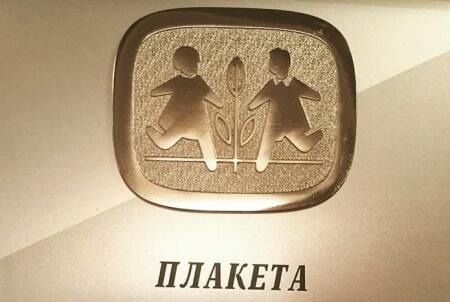 Sparkasse Bank Makedonija was awarded two statuettes for the proposed projects in two categories: "Environmental protection" with the project - Humanitarian work action of the employees of Sparkasse Bank in the Orphanage "11th October" in Skopje and The Infant and Young Children's Home in Bitola and "Venture in the Community" with the project "Social Impact Award - Social Entrepreneurship Award", introduced in the Republic of Macedonia. Macedonia for the first time in 2015 in cooperation with the NGO "Mladi info". 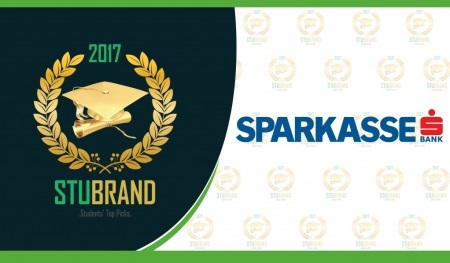 Sparkasse Bank Maкedoniјa is the recipient of the STUBRAND 2016 certification, becoming the first and only bank in the Republic of Macedonia to receive this prestigious recognition of the most popular brand according to Macedonian students. The research carried out by STUBRAND Macedonia in 2016 measured the perception of the image of a total of 405 brands in 19 different categories among the student population. According to the results, Sparkasse Bank enjoys a positive image of the brand of 53%, that is, a great emotional attachment to the brand among students, and thus fulfilled the high criteria for acquiring the STUBRAND 2016 certificate.